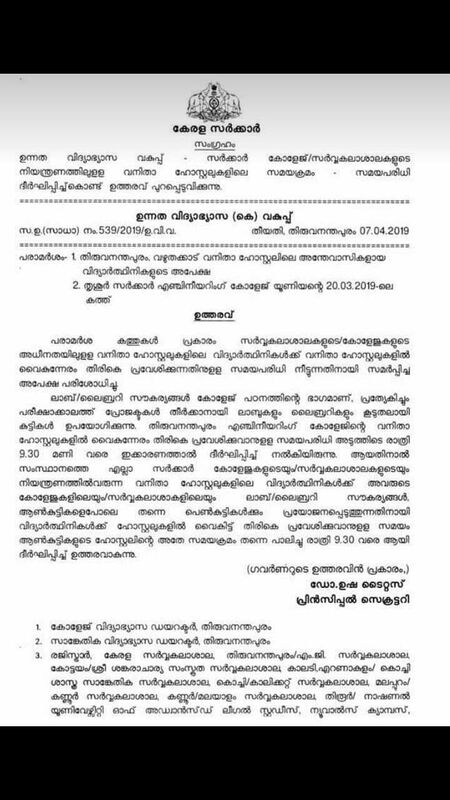 In what is great news for women who live and study out of hostels across Kerala's colleges and universities, the government has issued an order directing all women's hostels to be kept open till 9.30 pm. 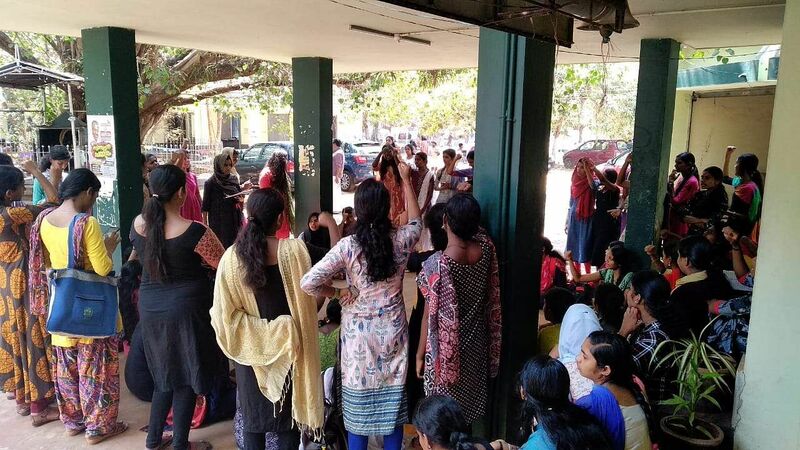 An order that was issued on April 7 by Dr Usha Titus, Higher Education Secretary to the Government of Kerala, stated that the curfew will be extended till 9.30 pm in all colleges so that women hostellers can "utilise labs and libraries just like men do". "I see the decision to extend the curfew in women's hostels as a very welcome one. In CUSAT, the curfew time is 11 pm if you are a research scholar and 8 pm for other students. Although the rules are enforced for female students, the same curfew is not enforced for male students. In such a situation, this decision will bring about a very necessary change by eliminating the need for female students to compulsorily carry late passes. It took a lot of effort struggles to bring about this action," said Jayashree Kuniyath, Research Scholar, CUSAT. Recently, students from two colleges — Sree Kerala Varma College and the College of Engineering Thiruvananthapuram — staged massive protests demanding that the curfew time for women be extended and that it was unfair that men got to come back late to hostels while women needed to return as early as 4.30 pm, in some cases. Students from Kerala Varma College recently went to the Kerala High Court and managed to get a ruling directing the college to extend the curfew to a reasonable time. The circular goes on to point out that by keeping the curfew so tight for women was putting them at a disadvantage, especially when they have to face exams and so on, "The department examined the application that sought an extension in hostel curfew for the women who live in college/university hostels. Labs and libraries are necessary for education. Especially, at the time of exams, students use these facilities more. Owing to this, we previously extended the curfew timings in the CET hostel," it stated. This is a massive victory for women students though college administrations and parents associations are unlikely to be huge fans of this move. The order continued, "Therefore, to make sure that all the women hostellers in other colleges/universities in the state can utilise the labs and libraries just like the men do, we are hereby extending the curfew to 9.30 pm in all colleges."